Magical things happen on the first summery night in New York. The East River Ferry seems like the most necessary form of transportation, Walt Whitman’s odes to the city summon themselves from the depths, and the much-awaited Brooklyn Barge bar finally opens. 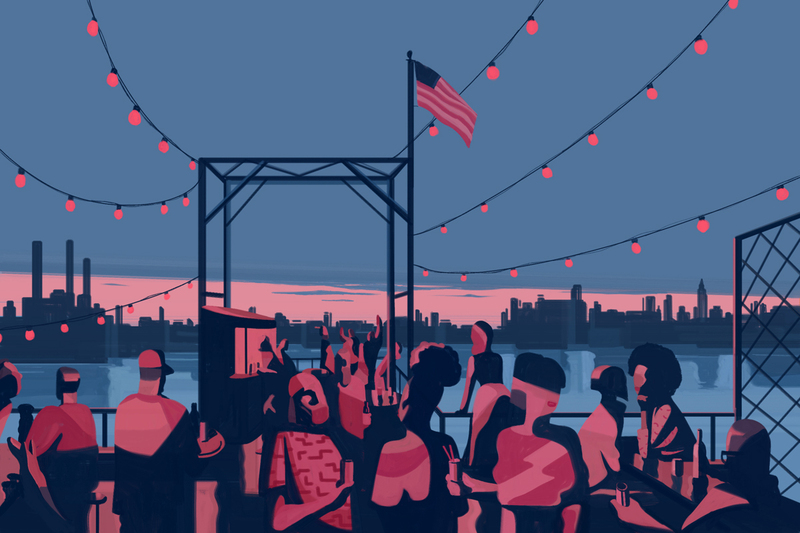 Strung with fairy lights, the bar floats in the East River, anchored off WNYC Transmitter Park, on an edge of Greenpoint best reached by that ferry. It aims to be a community center in addition to a watering hole, with paddleboard and sailing lessons. On opening night, though, all that was a distant dream; the kitchen was closed and the bar was cash only. But after a permit-beleaguered inaugural season last year (blink and you missed those two weeks of service), summer-hungry New Yorkers weren’t feeling picky. It was a fight through the crowd to reach the deck’s rusted bar, which serves moderately priced beer, wine, and mixed drinks.